I have a tendency to wait until the very last minute to get Valentines Day cards for my daughters’ classes. By the time I think about it, we’re either rushing to the store to grab something (generic) or jumping on Pinterest to find something quick and easy to make or some cute Printable Valentines Day cards. I also like using free printable Valentines Day cards instead of pre-made cards from the store because it’s more affordable and saves me time. The only cost to you is the cost of ink and paper – far less than the prices at the store. And I don’t have to deal with the crowds at the store either. 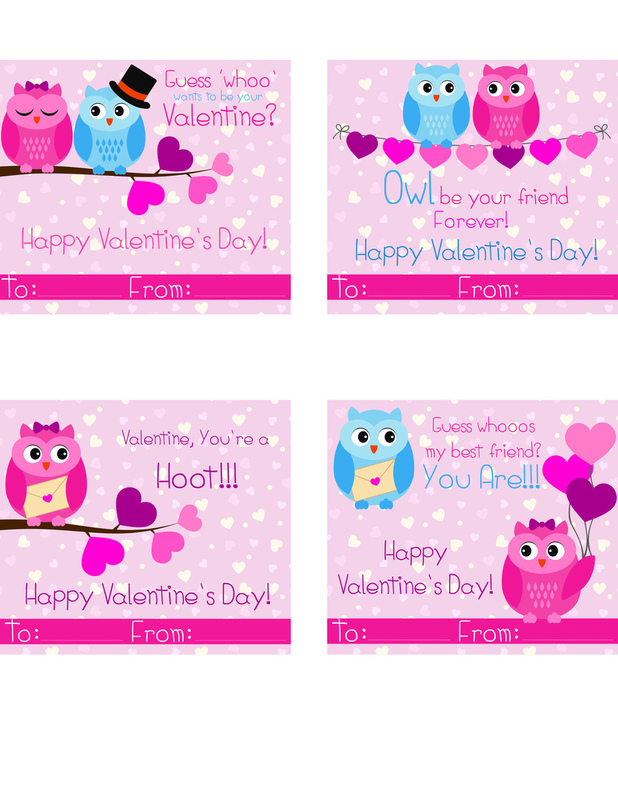 My older daughter has been loving owls lately, so this year, we wanted to provide you with some adorable owl printable Valentines Day cards in case you are a procrastinator like me! You get four different designs on one 8.5″ x 11″ sheet. They come out best if you print them on heavy card stock. There are both blue owls and pink owls, so you can use them for boys or girls in the class. A space to include who the card is to and from is also included. Owl be your friend forever! Happy Valentine’s Day! Guess whoo wants to be your Valentine? Happy Valentines’ Day! Valentine, You’re a Hoot!!! Happy Valentine’s Day! Guess whooos my best friend? You Are!!! Happy Valentine’s Day! Do you have a child that loves owls? If you do, I be they’ll love these free printable Valentines Day cards! 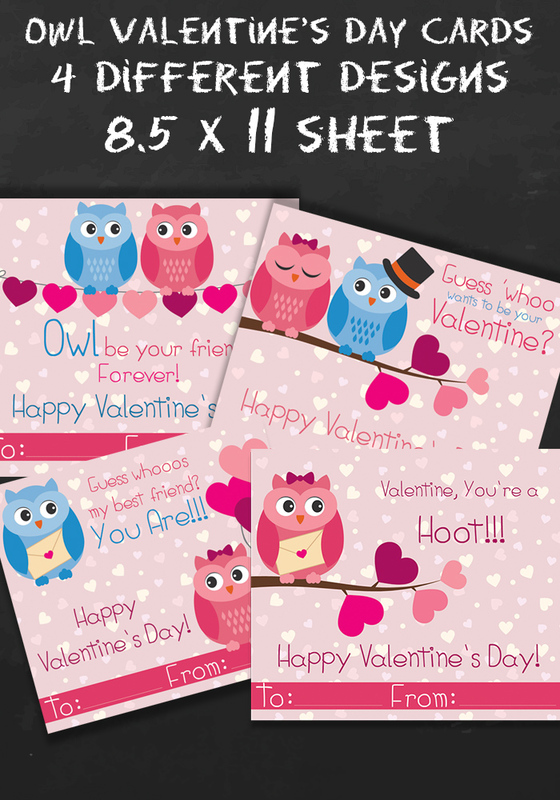 Want to add a little more to your owl-themed Valentine’s Day with crafts, activities and/or gifts? Check out these adorable ideas! Some would make great teacher’s gifts to pair with your printable Valentines Day Cards too! What are you doing for your kids’ classes for Valentine’s Day this year?